New Water Street Corporation | ENV | Design. Innovation. Vision. Can you imagine the traffic of space with over 1 million people traveling through it every day?! 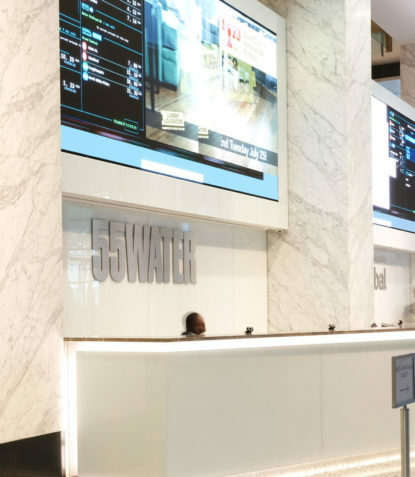 Up for the challenge of designing such an active space, ENV had the opportunity to create a robust and inviting lobby for New Water Street Corporation at 55 Water Street. 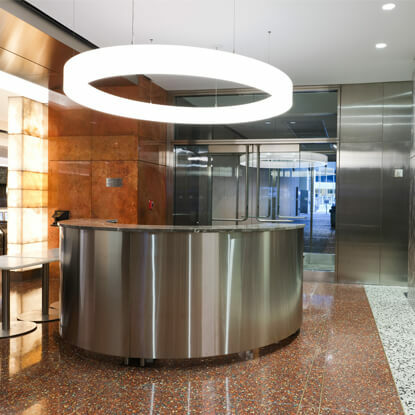 Greeting visitors even before entering the building is an enticing LED visual display which can be seen from the exterior. 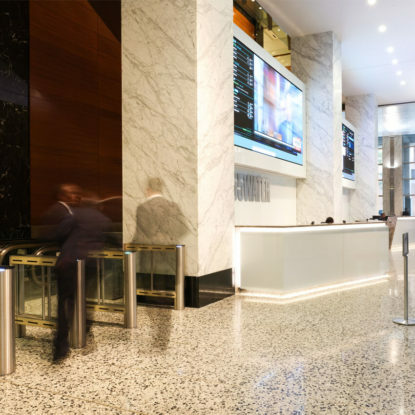 It displays the most current and global news for visitors to enjoy upon arriving with two reception desks in front for guests to approach. 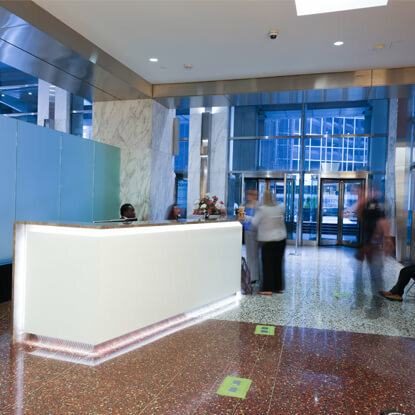 ENV’s lobby renovation design aims to exceed your expectations by creating a comfortable and functional environment despite the constant and heavy traffic. 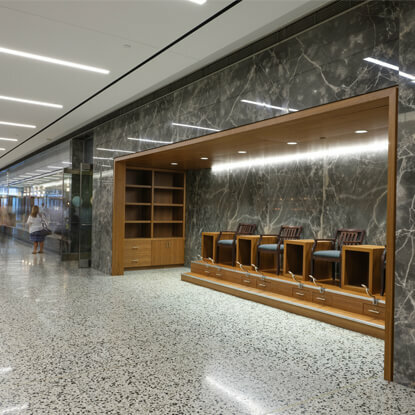 The new lobby design also provides an element of comfort with new amenities such as a coffee bar, lounge area, and shoe shine station. 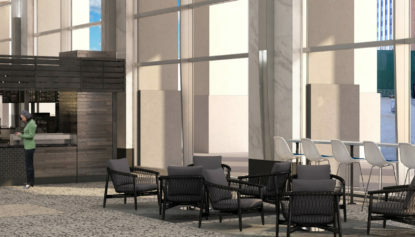 All these new features are unified through the use of materials already existing in the lobby, allowing for a seamless appearance. 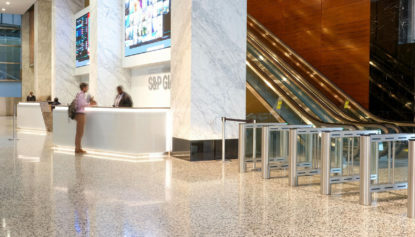 Security was made fluid and functional by incorporating security gates to create a threshold at the entry, while unannounced visitors are directed to an expanded and welcoming check-in area.